Through his varied martial art experience, Professor Wally Jay developed his own system called Small Circle Jujitsu™. He was inducted in the Black Belt magazine Hall of Fame twice. 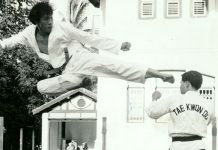 He studied under Paul Kaelemakule, Juan Gomes, and Professor Henry S. Okazaki (Founder of the Kodenkan Jujitsu system). 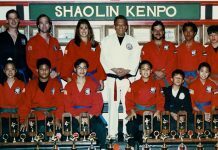 His Judo teacher was the Hawaiian Champion, Ken Kawachi who gave him the key to the Small Circle JujitsuTM techniques. He received his Restorative Massage in 1945 and the Certificate of Mastery (Kodenkan Jujitsu ) from Professor Okazaki on February 22,1948. His wife, Bernice was also a recipient. She is ranked as a Sandan since 1954, now inactive. Professor Jay was also ranked as a 6th Dan in Judo. In 1960,he was named by the Hokka Judo Yudanshakai as “Northern California Judo Coach of the Year”. He produced many national, state, and regional winners. 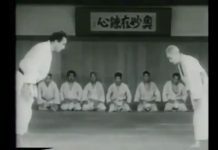 In the 1968 and 1979 National Hi School Judo Championships, two of his pupils won the 120 pound national titles and both were named in the top awards. In 1968, David Quinonez and In 1970 Bradford Burgo both were recipient of the Yamauchi Award” for their outstanding showing when they captured the 120 pound crown. He was inducted into the Black Belt Magazine’s Hall of Fame in 1969 and again in 1990. He was also recipient of many “Hall of Fame and Who’s Who” national and international organization. He was awarded on Honorary Doctorate by the College of Martial Arts Sioux Falls, South Dakota on May 4,1991. Inside Kung Fu magazine named him as one of the 100 most influential martial arts personalities of All Times. He taught in 32 countries and was Team Captain that went to China in 1985. He demonstrated on Emperor’s Day April 29 th at the Dai Nippon Butokuden at Kyoto, Japan in 1992 He was one of the three men that went to Boputhatswana South Africa in 1992. Tony Maynard and Ernie Boggs were on the team. He was the Founder of the “Small Circle” style of Jujitsu based on Kodenkan Danzan Ryu Jujitsu. It is based on his ten principles, the transitional techniques, and two way wrist action which is applicable to any style. His effortless application has been used by many women, children, and men in many difficult situations. His son, Leon Jay teaches near London, England. 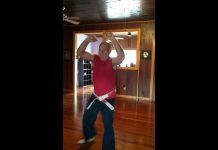 He finds that the Small Circle and George Dillman’s Kyusho Jitsu are compatible. In fact, many others have found it to be compatible with almost any style. Professor named his four inheritors — Lee Eichelberger of California, Leon Jay of London England, Ed Melaugh of Massachusetts, and Ronald Ogi of Hawaii. 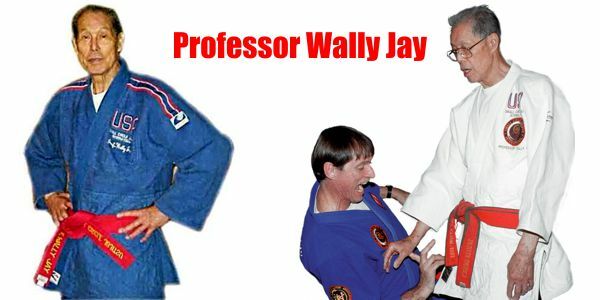 Professor Wally Jay was a student of Professor Okazaki, Juan Gomez, and Ken Kawachi in Hawaii in the early 40’s. Professor Jay is known nationally and internationally as the founder of Small Circle JujitsuTM and an outstanding Judo Coach. He has received many awards in the past decades which include “Outstanding Judo Coach”, “Northern California Judo Coach” of the year, Black Belt Magazine’s “Instructor of Jujitsu” and “Man of the Year” … and featured on the convers of top rated martial arts magazines. 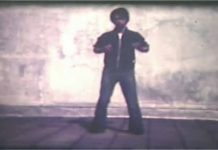 Professor Jay was the head instructor of Jay’s Jujitsu Studio, which is also known as Island Judo/Jujitsu Club in Alameda, California. 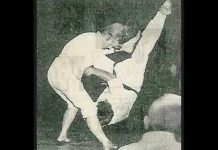 At the age of 80, he traveled world-wide teaching seminars on Small Circle JujitsuTM. The Great Grandmaster and Founder Professor Wally Jay, one of the last great martial artists, passed on peacefully at 2:20 am California time in Redwood City Kaiser Hospital at 93 years old. Prof Jay experienced a stroke on Tuesday May 24th and on Saturday as per his previous wishes was removed from life support. He survived another 12 hours and had family and friends with him. The Jay Family extended their gratitude to those that were there to lend support and to those that had him in their prayers.